Discover a great selection of David Beckham deodorants with captivating and irresistable scents that truly capture the elegance, style and modern masculinity synonymous with the icon, 'David Beckham' himself.Sporty and refreshing these deodorant body sprays keep you smelling fresh and active all day long. Explore the entire range of Deodorants/Roll-ons available on Nykaa. 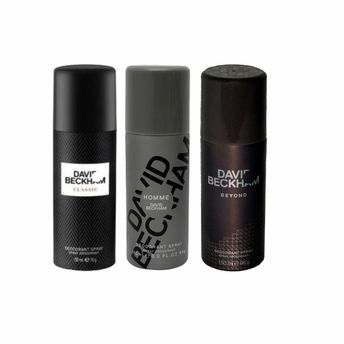 Shop more David Beckham products here.You can browse through the complete world of David Beckham Deodorants/Roll-ons .